﻿ Power supply for industry – KONČAR Elektronika i informatika d.d. 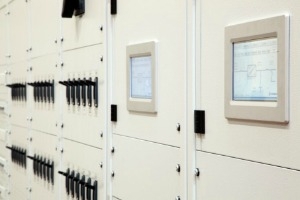 In industrial plants there are many different electrical devices that enable the execution of the process, the protection of plant and personnel as well as management and control. 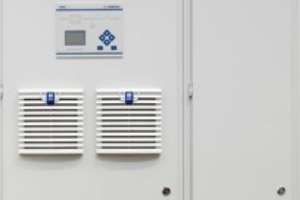 In order for these devices to fulfill their function they must be connected to quality and uninterruptible voltage. 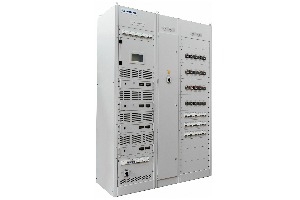 Due to the variety of devices on the same object, it is often necessary to provide a variety of DC and AC voltages (24, 48, 110 and 220 VDC and 230 and 400 VAC). 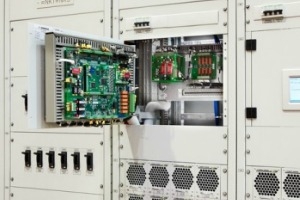 Depending on the size, power and grouping of the devices supplied with the same supplying voltages, appropriate power supply source is selected with one or more of the nominal supply voltages. 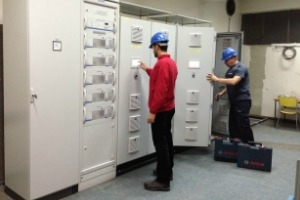 In older industrial plants the state of the uninterruptible power supply systems is often in such an unsatisfactory condition that a new design is necessary as well as a reconstruction of the entire power supply system, including the subdistribution panels and their connection cables.